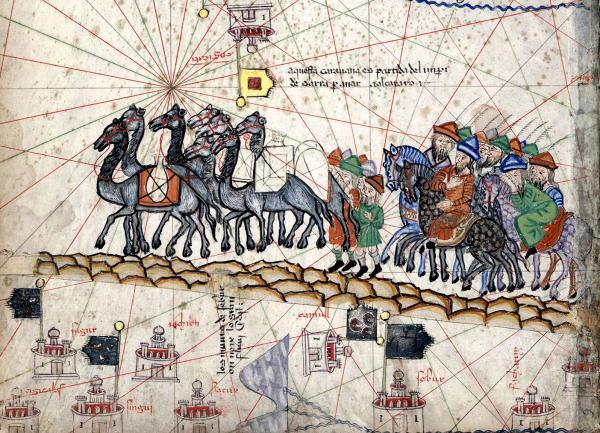 Sephardi Perspectives on the Medieval Muslim World: Benjamin of Tudela and His "Book of Travels"
This talk will offer a fresh look at the best-known Jewish traveler of the Middle Ages: Benjamin ben Jonah from the city of Tudela, in modern Spain’s northeast. Focusing on selected passages from Benjamin’s twelfth-century Book of Travels, Jacobs will address the following questions: what does it mean to be a Sephardi Jew during the time of the Crusades? How does a Jewish traveler from medieval Iberia describe the Middle East? What images does he paint of Iraq, Iran, and crusader-ruled Jerusalem? Does Benjamin share certain “Western” perceptions of Islam with his Christian contemporaries? How does he portray Jewish-Muslim and Jewish-Christian relations, respectively? To what extent is his Book of Travels a reliable account of his personal observations on the road, where does he take poetic license, and why? Through the lens of Benjamin’s fascinating travel account, the audience will learn about a pre-modern Jewish world spanning from Iberia to the Middle East and beyond. If you have a disability that requires an accommodation, contact the Judaic Studies office at judaicstudies@umich.edu or 734-763-9047.